Radinn based in Sweden has this month made available their new G2X Electric Surfboard, which is now available to purchase priced at €9,900 or approximately $12,000. 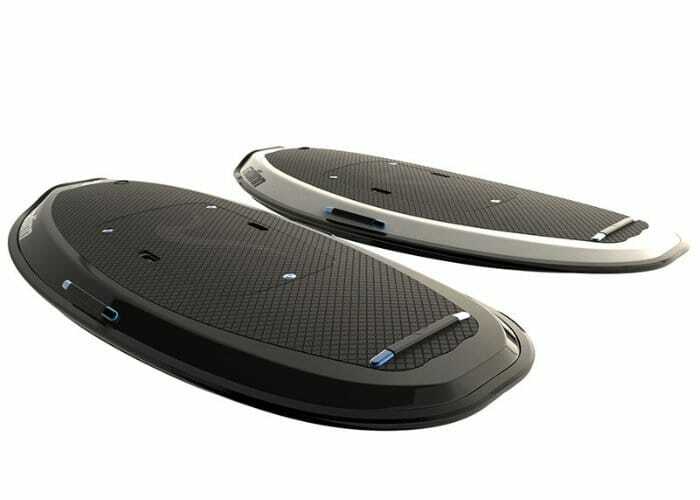 The compact electric surfboard is equipped with an electric brushless motor capable of propelling the board and rider up to 34mph or 58kmh. You no longer need waves to enjoy the thrill of surfing when you are equipped with a G2X Electric Surfboard which when compared to competitors has an 80 percent longer range, a 60 percent higher thrust and is 35 percent faster thanks to its 25 percent lighter design. Check out the video below to learn more about the G2X Electric Surfboard which is now available in both black and white finishes directly from the Radinn website. The on-board rechargeable battery of the G2X Electric Surfboard is capable of providing up to 45 minutes of use on a single charge, and the electric surfboard comes complete with its own waterproof hand controller, which vibrates to alert you when the battery is running low. Including battery the electric surfboard weighs 40 kg and an optional fast charger is available which reduces the charging time to adjust to hours for an additional €1490. Additional power packs are also included as well as speed upgrades all of which are listed on the Radinn website together with full specifications by following the link below.